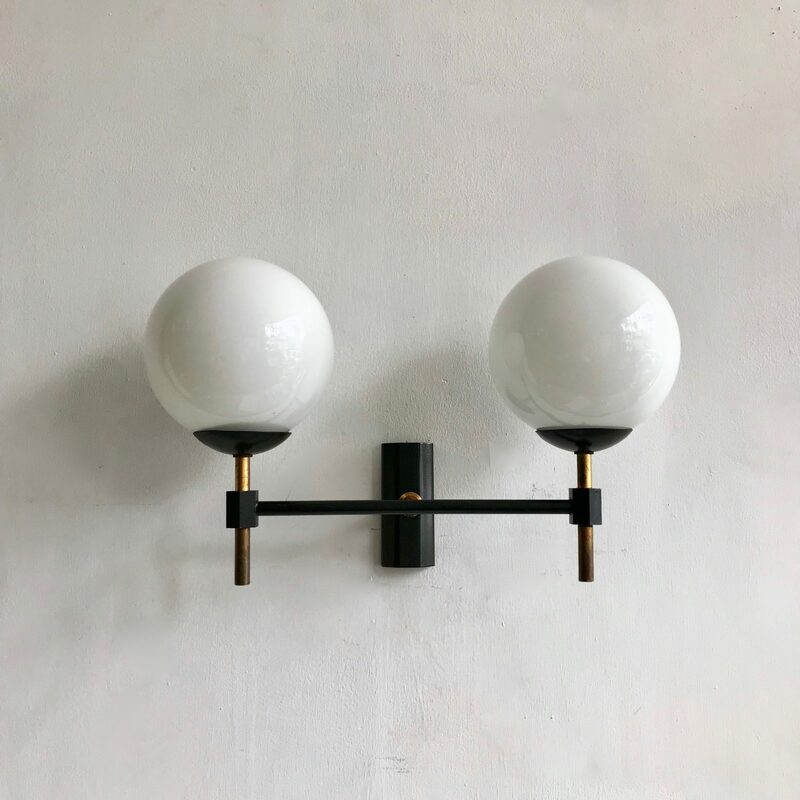 Stylish Mid Century opaline wall light made from brass with original black paint finish. The wall light has great proportions. With two thick polished glass opaline globe shades. The wall light takes two B15 lamps. The wall light has been fully restored and rewired here, in Stockport, near Manchester by our small team of experts and is now ready to be installed. We recommend that this wall light is installed by an electrician. To clean dust the brass components regularly with a soft cloth. The glass shades can then be wiped with a glass wipe or a cloth that has been sprayed with glass cleaner. A final wipe with a paper towel will give a polished finish.